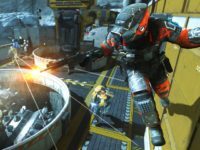 Four new multiplayer maps are coming to Call of Duty: Infinite Warfare in the Continuum DLC pack. 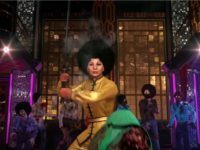 Players are transported to a 70s era New York City in Shaolin Shuffle, the latest entry in Call of Duty: Infinite Warfare’s Zombies mode included in the second DLC pack, Continuum. 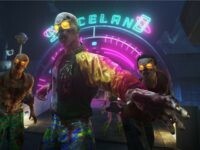 Three all-new multiplayer maps plus a remake of Modern Warfare 2 fan-favorite “Afghan” are coming to Call of Duty: Infinite Warfare along with a new chapter in the Zombies co-op campaign in the Sabotage DLC, coming to Playstation 4 on January 31. 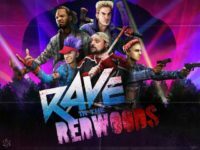 Kevin Smith joins the Zombies campaign in “Rave in the Redwoods,” a 90s slasher-inspired chapter coming to Call of Duty: Infinite Warfare in its first DLC pack, Sabotage, on January 31 for Playstation 4. 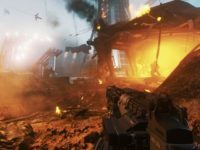 Call of Duty: Infinite Warfare was the top-selling console title of 2016, despite lackluster critical reception, a dramatic loss in the PC user base, and a deep drop in physical retail copies sold in the first month of release. NPD sell-through data has concluded that physical sales of Call of Duty: Infinite Warfare are down on previous last year’s entry by a whopping 50%. 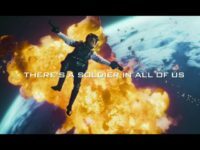 This live action trailer for Call of Duty: Infinite Warfare featuring Olympic swimmer Michael Phelps and Vice Principals star Danny McBride invites those weary of 2016 to escape to space. 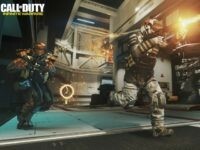 Fan-favorite map Terminal from Call of Duty: Modern Warfare 2 is updated and coming to multiplayer in Call of Duty: Infinite Warfare. 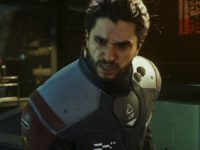 Humanity is divided and war rages throughout space in this trailer for Call of Duty: Infinite Warfare featuring Game of Thrones’ Kit Harington and the UFC’s Connor McGregor. 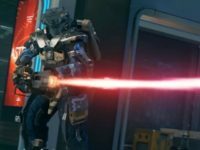 Get a first look at the major changes coming to multiplayer with unique classes, loadouts, new game modes, and more in Call of Duty: Infinite Warfare. 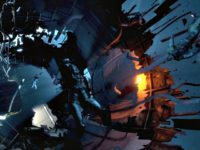 Get a first look at the 80s-inspired Zombies mode in the upcoming first-person shooter Call of Duty: Infinite Warfare. 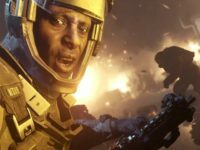 Protect civilians as you fight off a brutal surprise attack on the ground before launching into space to take out the source of the invasion in this extended gameplay clip from Call of Duty: Infinite Warfare. 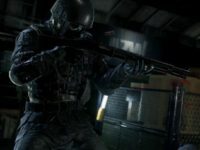 Check out this gameplay demonstration from the remastered version of Call of Duty 4: Modern Warfare to be included as a pre-order bonus for Call of Duty: Infinite Warfare. 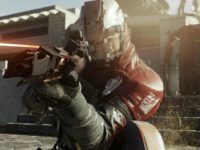 At E3 2016, I sat down for a conversation with Activision’s Jacob Minkoff and Chad Findley about Call of Duty: Infinite Warfare and how Infinity Ward is doing something very different with a series everyone thinks they know. 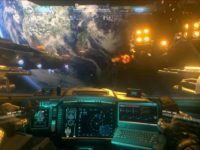 ﻿Call of Duty: Infinite Warfare’s﻿ E3 2016 trailer shows off space dogfighting and assaulting an enemy ship in zero gravity, as well as a sneak peak at the remastered version of ﻿Call of Duty: Modern Warfare. In space, no one can hear you call in a 15-killstreak reward. 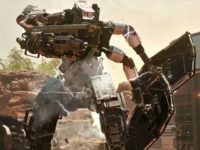 Call of Duty: Infinite Warfare takes the blockbuster military franchise beyond Earth’s atmosphere.